How far to the nearest Spitfire? 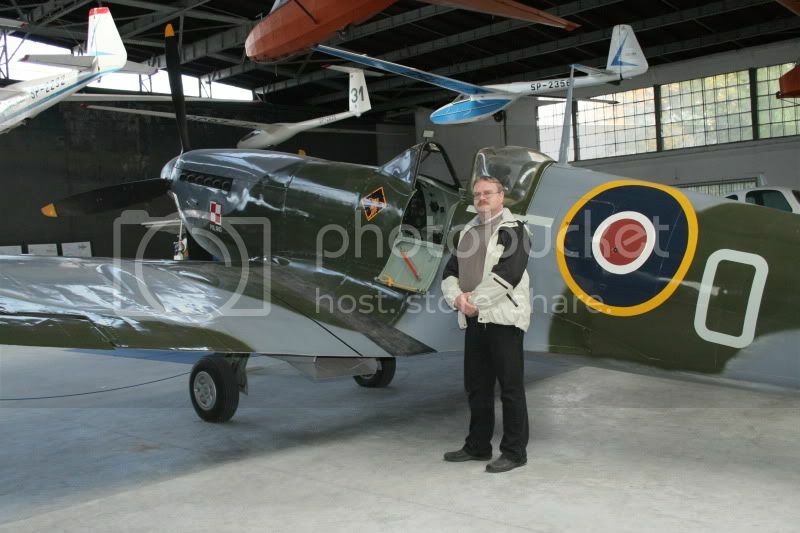 The Spitfire Forums » Historic Aviation » Spitfire » How far to the nearest Spitfire? General question to everyone. With regard to your aviation interest, how far is the nearest real Spitfire from your location, and where? Staring with myself, currently about 200 km, PR Mk. XIX in Linkoping (I'm in Sweden). It's a car trip away, but I used to visit her once every year or two. Re: How far to the nearest Spitfire? Mk.I AR213 1.5 miles (less as the crow flies,) with its landing run over my house, with the wind in the right direction. I guess for me it would be the RAF Museum about 40 minutes drive away in a generally westerly direction. About 50 feet to my garage. That doesn't really count as I'm making my own spitfire and it can't be considered a real spitfire. It will obviously be many, many years in the making. Airworthy spitfires? unknown. I think there is one being restored in Quebec, about a three hour drive. There used to be a wrecked Mk XIV in Orford Vermont, whether it's still there or not is unknown, about a two hour drive. After that, it's anybody's guess. I don't know of any between Maine and NASM in DC, which has one; that's a 14 hour drive. About 30 minutes drive North to the one in the Auckland Domain Museum. About 20 minutes drive South to Ardmore Airfield where Doug Brooker's 2-seater is being repaired after its belly flop and of course the AvSpecs lads are always restoring one or two. Wow! That's real luxury Out of curiosity, how often does it fly these days? The nearest Spitfire to me is at the Auckland War Memorial Museum which is about 15 minutes drive from my home, it's a MkXVI, although one of its wings is from a MkIX. The next nearest is the 2 seater at Ardmore airfield (about 35 minutes drive south) which is under repair and at least one other (a MkIX I think) in the same Hangar being rebuilt very, very slowly. In the hangar next door to it is the Mk XIV originally from Wanaka, also being rebuilt very, very slowly. The next nearest after that is the newly rebuilt MkIX in the southern part of the North Island at (I am not sure if its Palmerston North, Marton or Ohakea). Its owned by Brendon Deere who is the nephew of the New Zealand Spitfire ace, Al Deere. And the last one is the Mk XVI in the RNZAF Museum at Wigram, near Christchurch. When you add them up like that, New Zealand does'nt do too badly for Spitfires, considering they were never in service here. My nearest Spit? MkXVIe TE462, about 45mins away at East Fortune's Museum of Flight. I passed the place the other day and was tempted to go in and have a look, but didn't have time, sadly. There's also a GRP replica near the gates at Edinburgh Airport, in the markings of 603 Squadron (XT-D, I think). Nearest Spit, the museum at Gardermoen, Norway. 1 hour trip south-east. Stopped by last winter for a peek. About one hour's drive. A PR Mk.XI, PL979 at the Norwegian Defence Museum's Aircraft Collection at Gardermoen, north of Oslo, Norway.